Use with HT500 or HT300 guns. 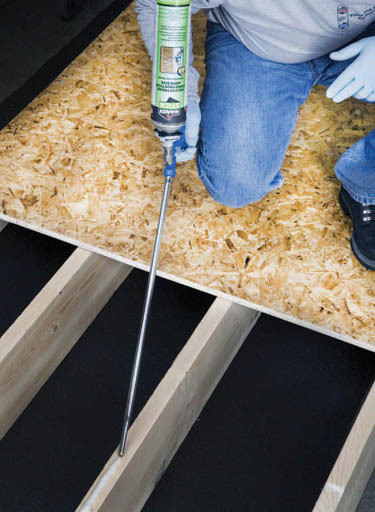 Handi-Stick® General Use low pressure one-component polyurethane foam adhesive spray is a moisture cured, multi-purpose adhesive designed to create an extremely strong, permanent bond between various types of building materials. After placement of the substrates, the foaming adhesive will expand to fill in small gaps and uneven surfaces. 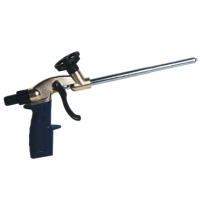 Spray foam gun products result in less waste compared to straw foams. 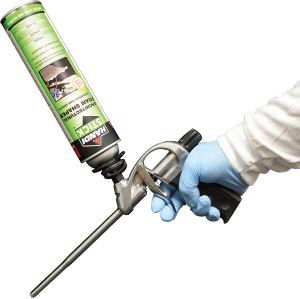 This foam glue spray is dispensed through a contractor grade gun for control and ease of use. 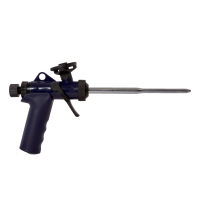 The gluing polyurethane foam gun can be metered down which allows precise control of the flow output. Partially used cans of foam adhesive spray may be stored on the gun for use up to 30 days later. Consult your gun's operating manual for cleaning and storage instructions. Due to the expanding nature of HANDI-STICK™ foaming adhesives, they result in much higher yield compared with traditional adhesives. Full Bond Time: 24 hrs. Can be found in the Data Sheet or on can label. Application: For best results as a foam adhesive, use a technique called "flashing" to adhere the foam shape to the substrate. Apply the polyurethane glue in a zig zag pattern onto the back of the foam shape to be adhered and then stick (flash) to the substrate and quickly remove. Allow the adhesive to set-up for 1 minute. Reapply the foam shape and hold in place. Temperature: Spray foam products are temperature sensitive. You can spray this foam in colder outdoor temperatures, the key is to keep the core temperature of the can within the optimum range of 65-80°F.